Aura of Genesis (AHR 31512-10) was born on April 5th, 2010. 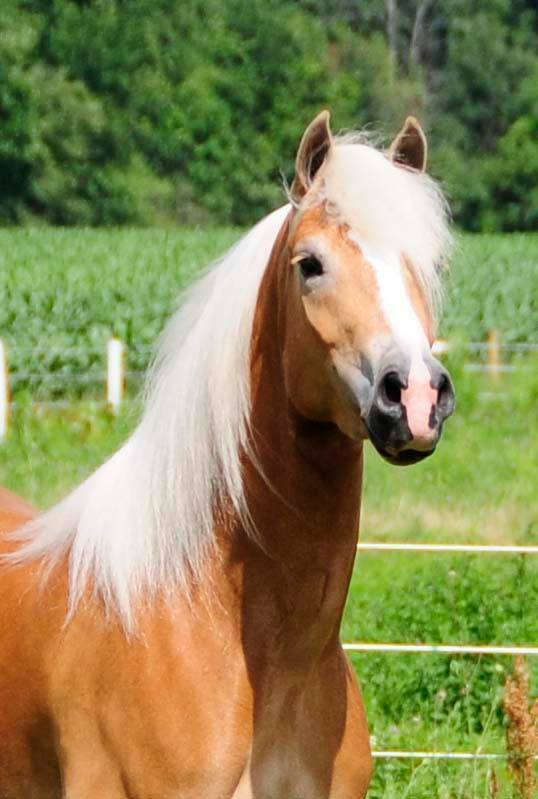 Aura’s sire is Arno van het Nieshof , who is a former 2-time AHR ‘National Champion Stallion’, a former 4-time AHR ‘Stallion of the Year’ and the only AHR ‘Supreme Status’ stallion in North America based on the scores of his offspring through the AHR Inspection and Classification system. 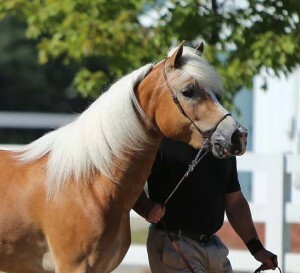 Arno has sired too many AHR National Champions and AHR Futurity Champions to even detail but a complete list can be found on his webpage organized according to year. Aura’s dam is Amina NTF. 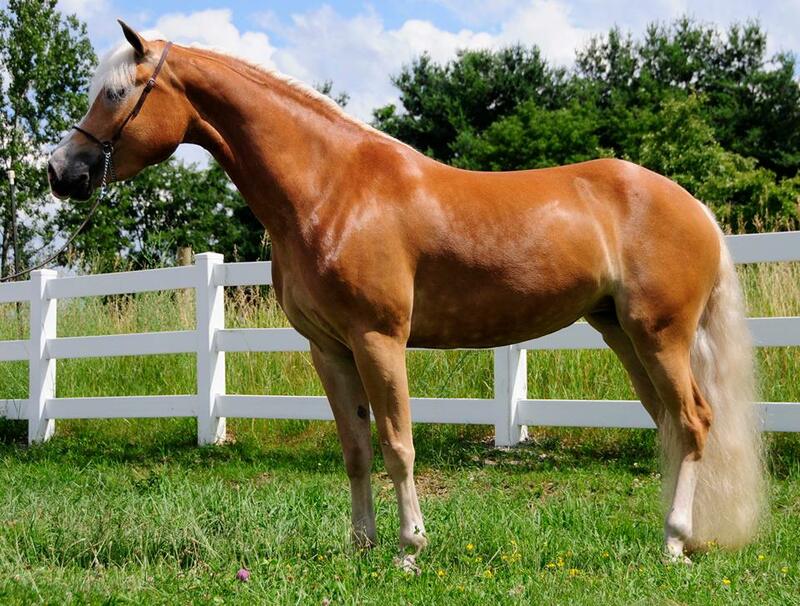 Amina is sired by Afghan III who himself is an exceptional producer of broodmares. 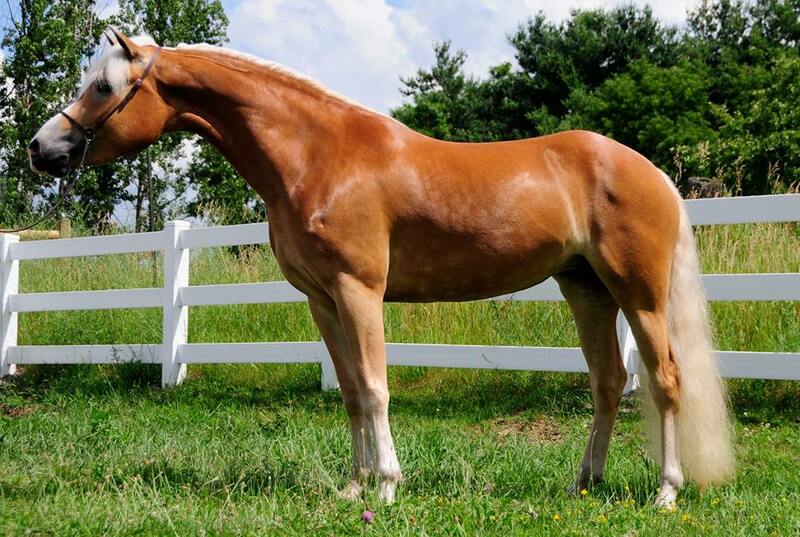 Amina’s dam is sired by the world-reknown stallion, Winterstein. 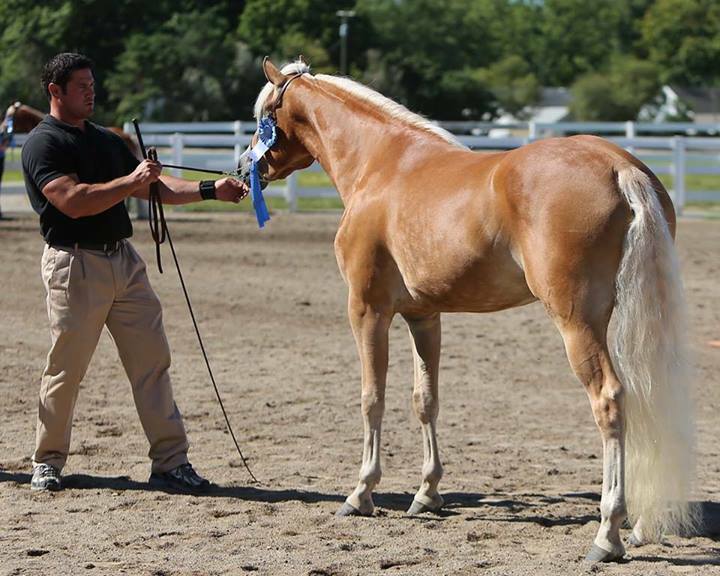 Amina has had many great offspring, including numerous sale toppers and show champions. 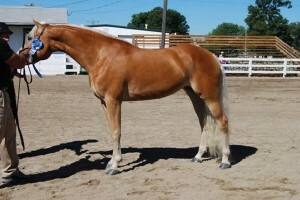 She has also produced numerous sons that have been AHR approved breeding stallions. Aura’s 2009 half-sister out of Alfa of Genesis and Amina NTF is Awe Struck of Genesis . Aura has a real ‘aura’ about her presence… She has a pure, striking beauty makes it hard for you to take your eyes off of her—she is an instant favorite of visitors to the farm. She has a rich, deep red color with a kind eye and a gentle disposition. She is tall and elegant with clean, smooth bones and she moves with great athleticism and power. 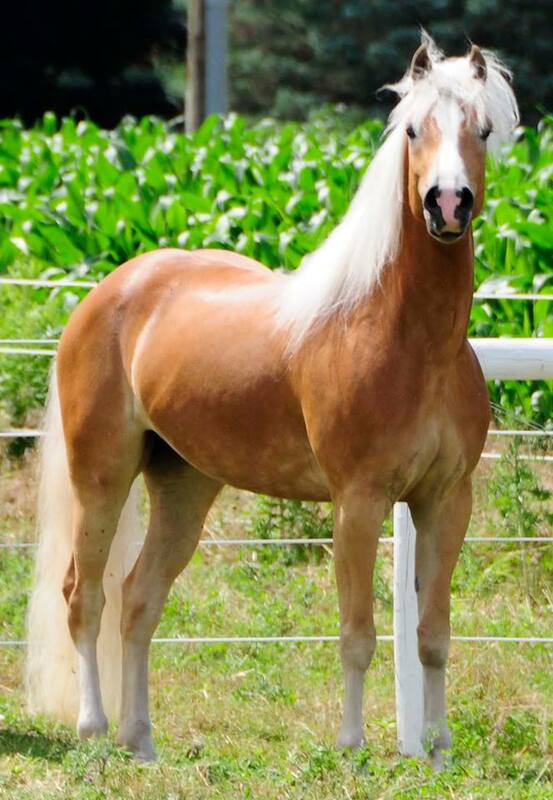 Aura made her show ring debut at the 2010 AHR Futurity. She was 2nd place in the Junior Weanling Filly class and went on to be named ‘Reserve Junior Champion Weanling’. Aura later went on to win 3rd place out of over 20 entries in the competitive AHR S.I.P. pleasure class. In 2011, Aura was an integral part of the Genesis Farm show string. 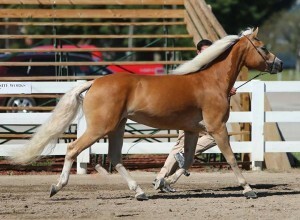 She won 1st place in the ‘Yearling Filly’ class at the Buckeye Haflinger Show, going on to be named ‘Champion Yearling’. 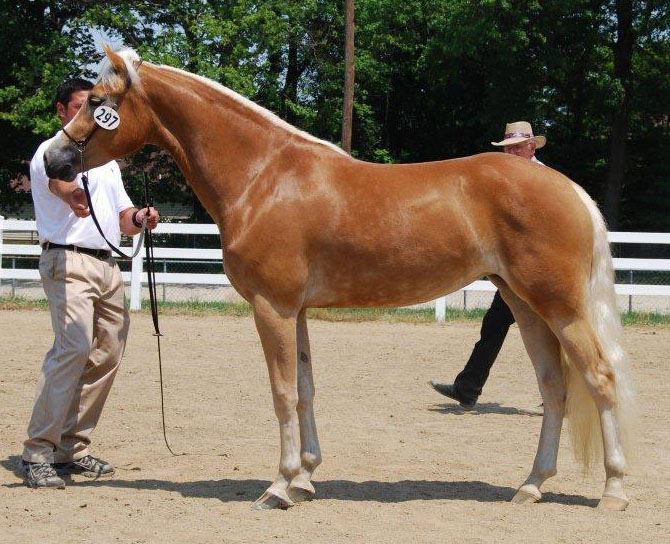 At the 2011 AHR National Show, Aura was again the 1st place ‘Yearling Filly’. She went on to be named ‘Junior National Champion Filly’ (as a side note: her half-sister, Awe Struck of Genesis, was the ‘Reserve Junior National Champion Filly’ so winning is obviously in the genetic makeup). 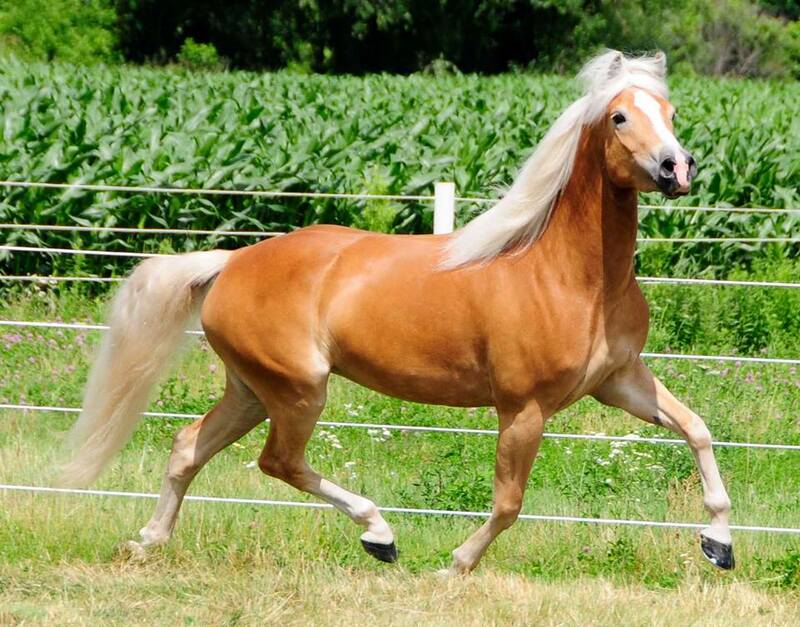 Eventually, Aura was awarded the title of ‘Reserve National Champion Mare’. This is a big title for such a young lady to have already coveted! As if those merits weren’t enough, with her big sister, Awe Struck, by her side, this dynamic duo won the National ‘Produce of Dam’ class on their mother’s behalf. Aura also represented her sire, Arno, in our 1st place National ‘Get of Sire’ entry, helping to secure this award for Arno for the 6th consecutive year! WOW! 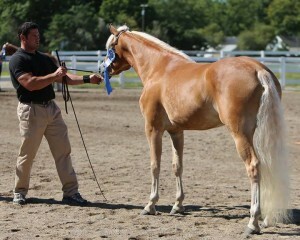 Finally, Aura attended the 2011 AHR Futurity. 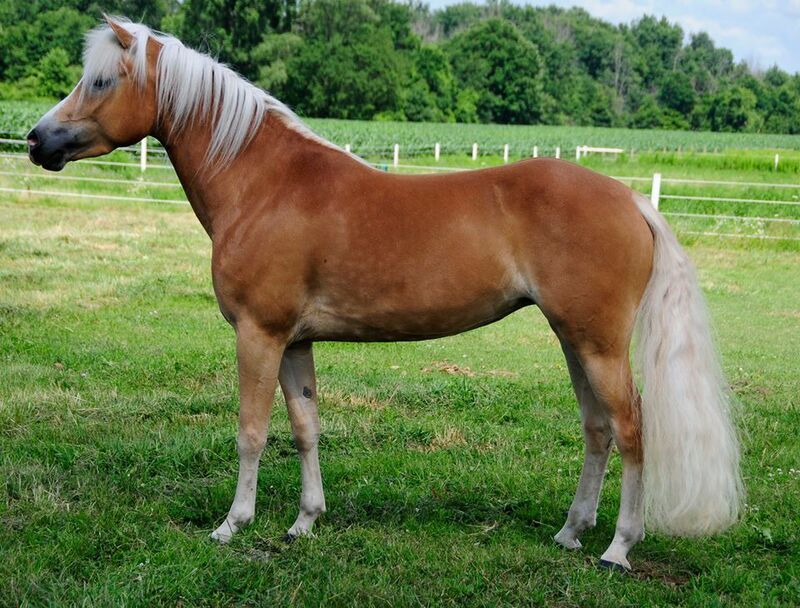 There, she won 1st place in the ‘Yearling Filly’ class and went on to be named ‘Champion Yearling’. In July 2012, Aura was inspected through the AHR Inspection and Classification system. She scored 79 points that day, which meant that she became high-silver classified and was the highest scoring horse of the year. That same weekend, she attended the American Warmblood Society’s Inspection. 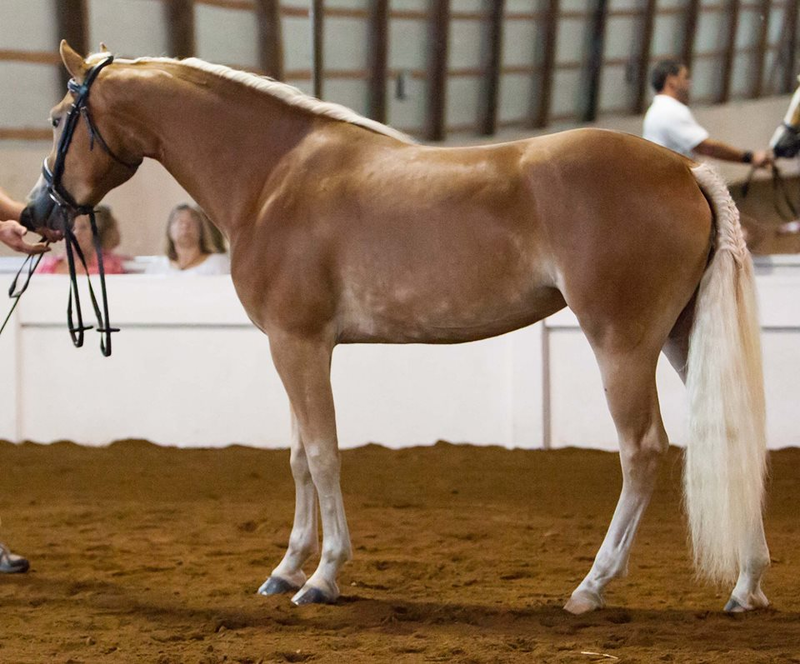 She performed beautifully in the halter and the free-schooling portion of the event and she went on to be awarded 78.85 points, which earned her the GOLD MEDAL of the inspection! This was a very big deal for a haflinger to score above all of the other ‘warmbloods’ at the event and a real-eye opener for the other horse owners in attendance. In addition, Aura’s stable-mate, Faith by Fire was awarded the SILVER medal at the inspection site that same day. 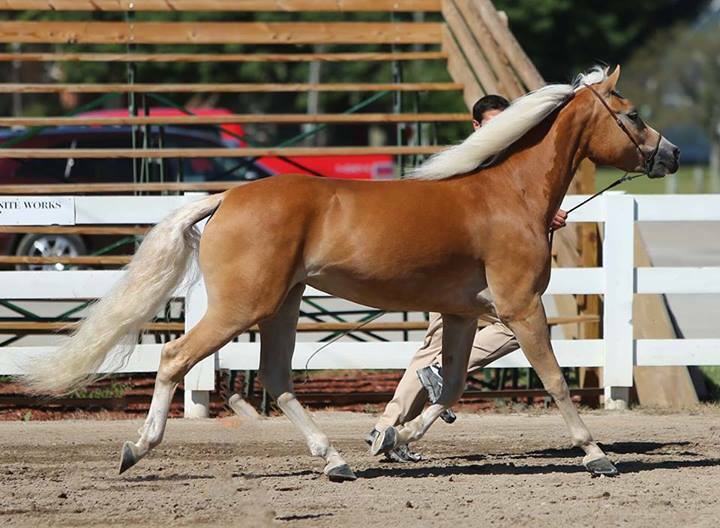 Aura became the highest scoring haflinger ever under the AWS Inspections. In addition, her score that day gave her the 2nd highest score in the United States for 2-year-olds in 2012! In September 2012, Aura attended the AHR National Show in Springfield, OH. She was the 1st place 2-year-old filly and went on to be named the 2012 Junior National Champion Mare (for the 2nd consecutive year). Then the real competition got underway—Aura’s stable-mate and half-sister, Faith by Fire, was the 2012 Senior National Champion Mare so the two sisters went head-to-head to compete for the title of 2012 National Champion Mare (Michele was handling Fire and John had Aura). In the end, Fire (Michele!!) took the National Champion Mare title but incredibly, for a 2-year-old, Aura secured her second ‘Reserve National Champion Mare’ title! Aura (alongside her sister Allure of Genesis) won the National ‘Produce of Dam’ class on behalf of their mother for the second consecutive year! Aura also represented her sire, Arno, in our 1st place National ‘Get of Sire’ entry, helping to secure this award for Arno for the 7th consecutive year! She also represented Genesis Farm in the ‘Best Three Haflingers Owned by Exhibitor’, allowing Genesis Farm to win this title for the 7th consecutive year as well! In 2013, Aura continued her winning ways. 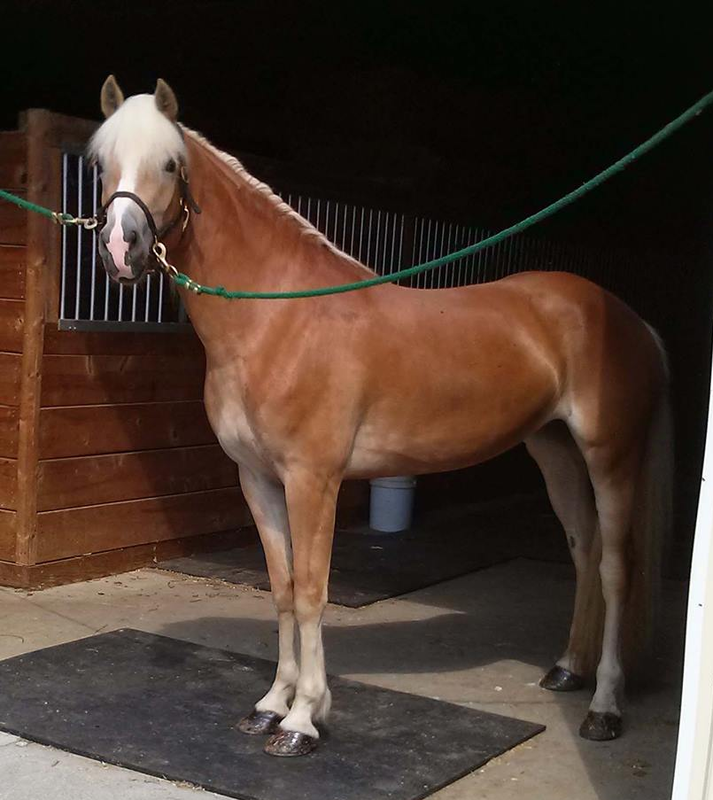 She was the 1st place 3-year-old filly at the 2013 AHR National Show. 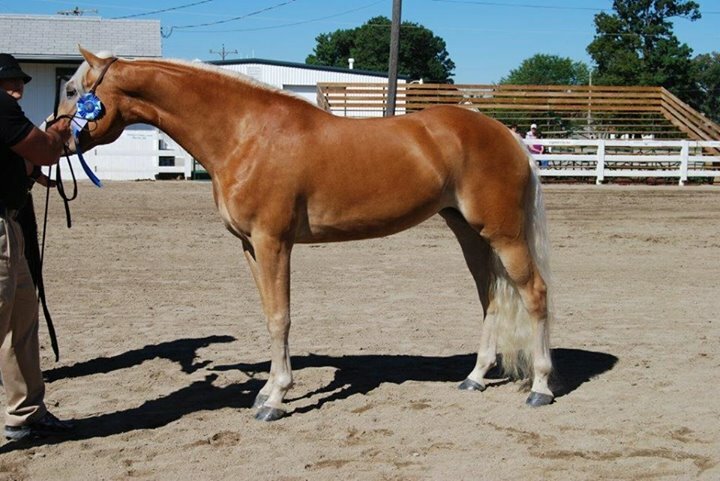 She then beat out the field of older mares to be named the AHR ‘Senior National Champion Mare’ (following 2-consecutive years of being the ‘Junior National Champion Mare’) and then eventually became the 2013 AHR ‘National Champion Mare’. 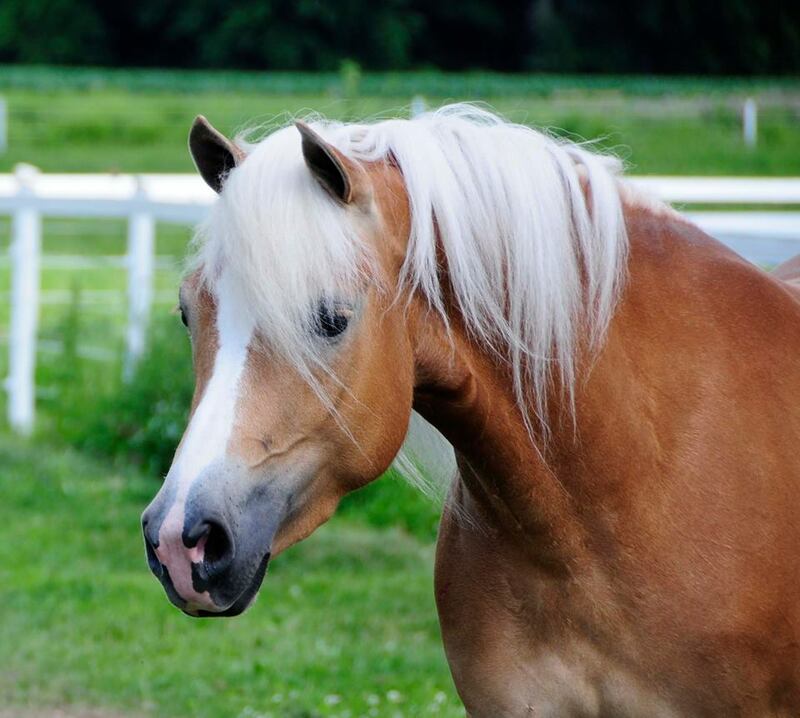 If that was not enough, this stunning 3-year-old became the 2013 AHR ‘National Best of Show’!! WOW!!! We expect Aura will continue to be a great contender in the show ring for years to come—we love everything about this filly!